Take the New York State Thruway to Exit 24 at Albany. Then take Route 87 (the northway) to Exit 21. At the end of the ramp, take a right on 9N, then a left on 9 (north) to the traffic light. 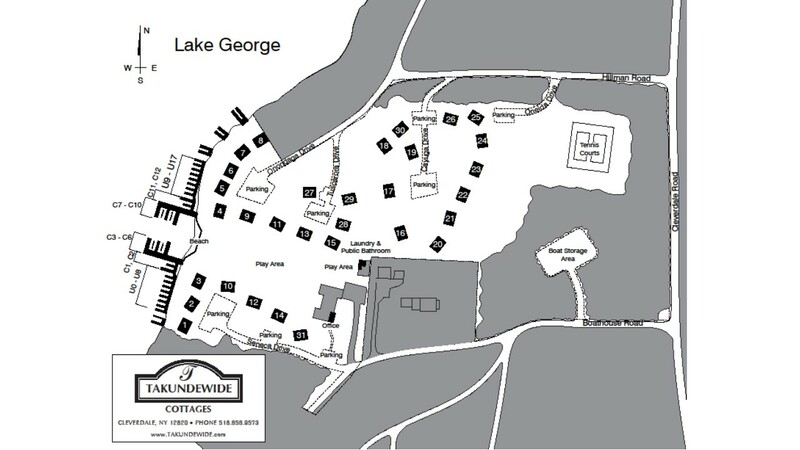 Take a right on Route 9L and continue for five miles along the east shore of Lake George. When you reach the Cleverdale sign at the traffic light, turn left. Turn left on Boathouse Road. Takundewide is on the right at the end of the road. Our office is located at the end of Boathouse Road. At the Takundewide garden sign, continue onto the gravel called “Seneca Drive”. Office parking lot is immediately on the right. The office door is on the side of the white ranch house facing the parking lot.